$145 for the pair. Vintage antique pair of gilt metal and crystal candle wall sconces, c. 1940. 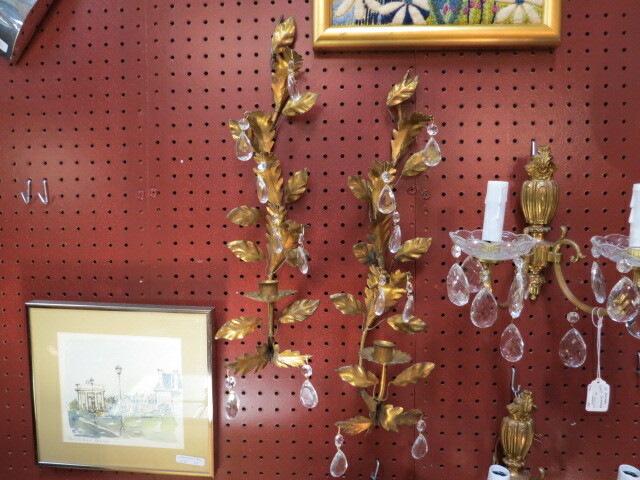 Tall gilt metal sconces with leaves all the way to the top. Crystals hanging from the leaves. Each holds one candle. Perfect for your living room or dining room. Very good condition. 5.5in wide, 5 in deep, 18in tall.